VSU Campus Recreation offers multiple programs in Fitness and Wellness ranging from Group Fitness to Personal Training. To see photos of our weight room, cardio area, indoor track, and functional training room please go to the Facilities page. Win swag by getting fit with us! Accumulate points to reedem prizes! 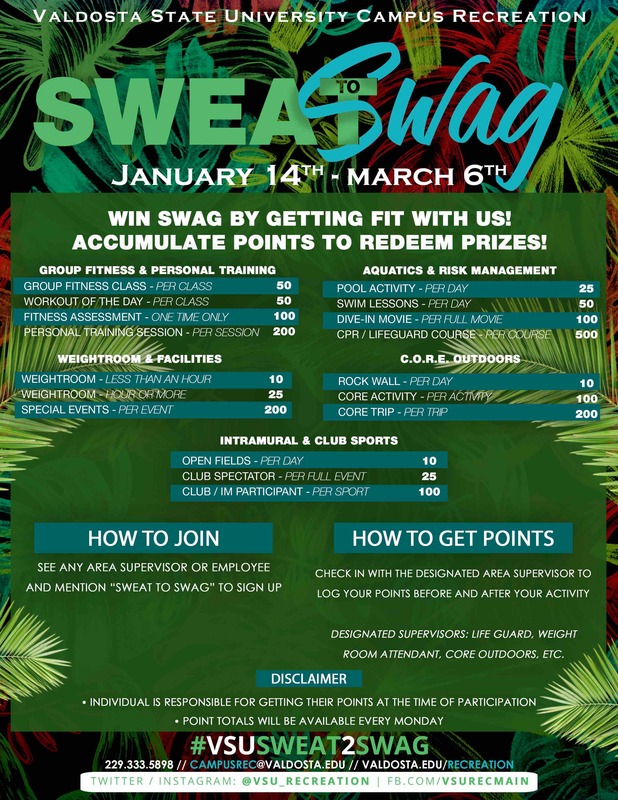 See any area supervisor or employee and mention "Sweat to Swag"
Check in with the designated area supervisor* to log your points before and after your activity. Individual is responsible for getting their points at the time of participation. Point totals will be available every Monday.